Adult and children's classes are held at 10 AM on Sunday mornings. Our adult class is held in the main auditorium where Pastor teaches on doctrine and fundamentals of the faith. Children's classes meet in the fellowship hall where they learn Bible stories, memory verses and sing songs. Nursery facilities are provided for all regular services for children ages 0 to 48 months. The nursery staff is comprised of loving and caring ladies who have a burden for the little ones. On the third and fourth Sunday's of the month, our church families visit Elcor Nursing Home to minister to the elderly and others there through preaching and singing. We hold a yearly summer camp called "Character for Kids" where godly character traits are taught to children ages 1-12. We also hold a "Children's Fall Festival" in November with games and crafts for the kids. Our Youth Group "Serving Youth" meets monthly for Bible study and games. Teens are taught to love the Lord and serve others. Each year we purchase billboard space at Alpine Junction, the corner of Route 13 and 224 in Alpine. 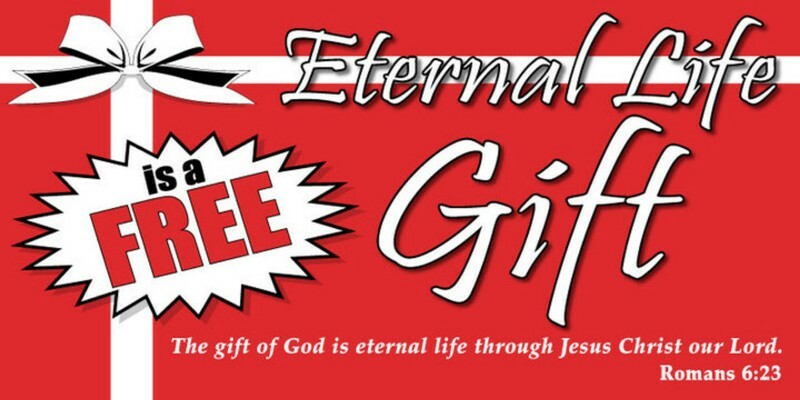 Our current billboard is a picture of a red present with the words "Eternal Life is a Free Gift". We believe the Lord Jesus Christ is the only hope mankind has. Our goal is to reach our community and the world with the Gospel of the Lord Jesus Christ. We aim to tell others the Gospel through public evangelism and personally telling others about Jesus in our daily lives. 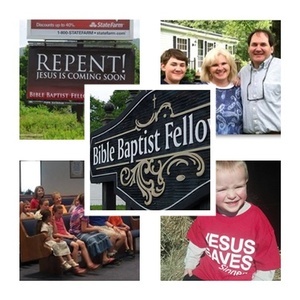 We hold annual revival meetings at BBF. Join us as we pray for the Lord to "Revive Us Again."